NASA's Jet Propulsion Laboratory has unveiled a set of posters advertising the solar system's planets and moons as holiday destinations. The Jet Propulsion Laboratory (JPL) released the 14 downloadable Visions of the Future posters this month. They join NASA's Exoplanet Travel Bureau designs released last year. 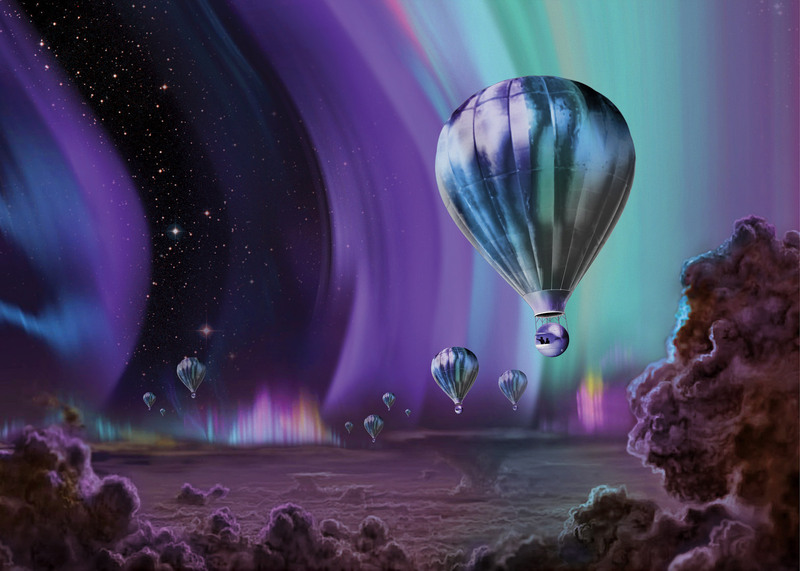 Each picture depicts the planets as habitable holiday destinations, with travellers invited to "experience the mighty auroras of Jupiter", or visit Venus' Cloud 9 Observatory. Earth's image shows astronauts with their helmets removed – impossible on any other planet. The poster describes Earth as an "oasis in space where the air is free and breathing is easy". The vintage-style travel posters are the brainchild of The Studio at JPL, a design and strategy team that works with scientists and engineers to visualise complex science topics. Seattle-based graphic design studio Invisible Creature were also commissioned to create posters for Mars, Saturn's moon Enceladus, and the Grand Tour – advertising a chance to see the alignment of the outer planets, which occurs once every 175 years. This poster endorses HD 40307g – a planet somewhere between "Super-Earth" and "mini-Neptune"
Invisible Creature's additions are characterised by their bold colours and graphic shapes. The poster for the red planet appears to preempt recent developments surrounding Mars exploration, and hints at the discovery of historic and archeological sites on its surface. The designs have been released following NASA' $19 billion budget request to fund a manned mission to Mars. NASA describes Saturn's largest moon as "frigid and alien"
There has been a growing interest in travel to Mars since NASA's robotic Curiosity rover landed on the planet in 2012. In 2013, over 200,000 people applied for a one-way ticket to join a Mars settlement, and last year NASA ran a competition to find proposals for 3D-printed housing on the red planet. More recently, Spanish architect Alberto Villanueva's Mars Utopia unveiled a concept that would see the planet transformed into an inhabitable environment using towers formed by bacteria.